Our own Adrian Petersen was honored last weekend at the President Elect Training Conference as Rotary's newest Paul Harris Fellow! 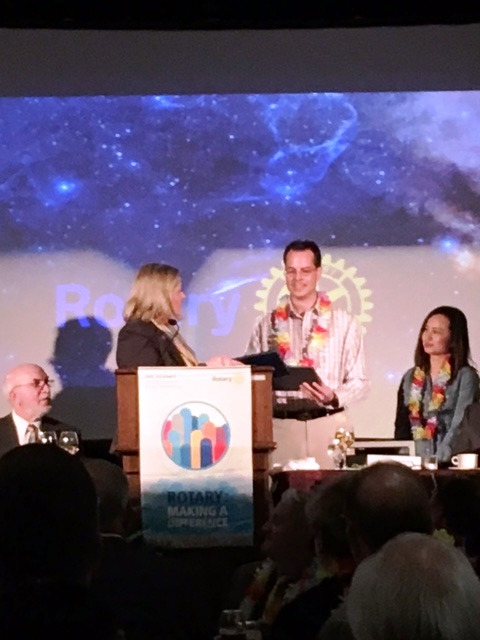 District Governor Elect (and former Club President) Sandi Sava presented his award. Though taken somewhat by surprise, Adrian shared a few words about his passion for Rotary and its efforts in promoting literacy and education through out the world. Way to go Adrian!